Recently, Facebook has been making more efforts to push the Facebook Messenger application on mobile phones. While the app has long been available for iOS and Android, it finally reached Windows Phone in early March, a whopping two years after the application had arrived on the other platforms. The reasoning behind this launch seems to be that Facebook very much wants its user base to download Facebook Messenger in addition to Facebook itself. To make this push even more clear, recent reports are stating that Facebook will be removing messaging entirely from the standalone Facebook application, so that users will be forced to download the Facebook Messenger app in order to message their friends on Facebook. Some users in Europe have already been getting notifications stating that they will need to download Facebook Messenger to keep using the chat functions and it is expected that this will eventually ring true for all users of the Facebook mobile app. According to Facebook CEO Mark Zuckerberg, the Facebook Messenger application was launched in order to remove friction from the standard Facebook app, so that there could be a more streamlined experience for chatting and direct messaging through a separate application. Though this may be good news for some, others are worried about the potential consequences of this action. Some suggest that not everyone will want to manage multiple Facebook apps on their phone, while others wonder if this is Facebook’s first step towards merging Facebook Messenger and WhatsApp, which they recently acquired. 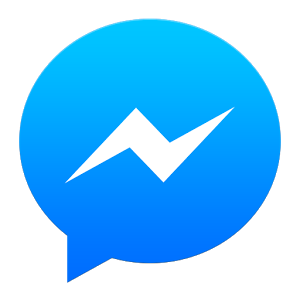 Others have issues with the interface of Facebook Messenger itself, which features icons of people that one is chatting with in a somewhat intrusive manner on the phone’s homescreen. The only way to escape using Facebook Messenger in the future will be to use an Android phone with an OS that is too old to run the app, to use Facebook’s mobile website, or to use Facebook’s news reader app, Paper.